By the end of this tutorial, you should have a JupyterHub with some admin users and a user environment with packages you want installed running on DigitalOcean. A DigitalOcean account with a payment method attached. Log in to DigitalOcean. You might need to attach a credit card or other payment method to your account before you can proceed with the tutorial. Click the Create button on the top right, and select Droplets from the dropdown menu. 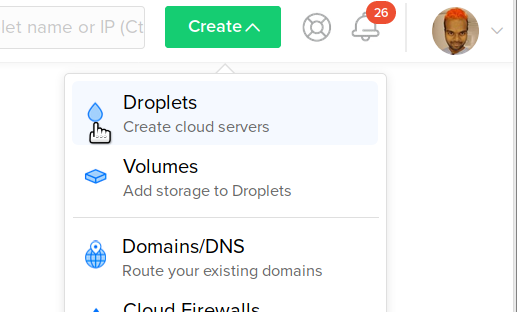 DigitalOcean calls servers droplets. This takes you to a page titled Create Droplets that lets you configure your server. Under Choose an image, select 18.04 x64 under Ubuntu. Under Choose a size, select the size of the server you want. The default (4GB RAM, 2CPUs, 20 USD / month) is not a bad start. You can resize your server later if you need. Check out our guide on How To Estimate Memory / CPU / Disk needed to help pick how much Memory, CPU & disk space your server needs. 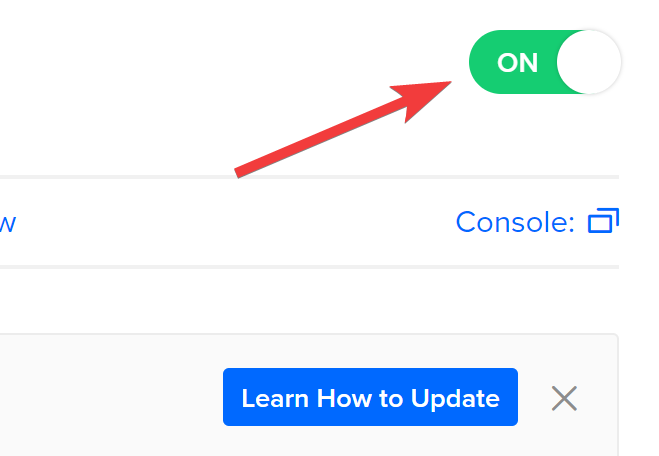 Scroll down to Select additional options, and select User data. This opens up a textbox where you can enter a script that will be run when the server is created. We will use this to set up The Littlest JupyterHub on this server. Copy the text below, and paste it into the user data text box. Replace <admin-user-name> with the name of the first admin user for this JupyterHub. 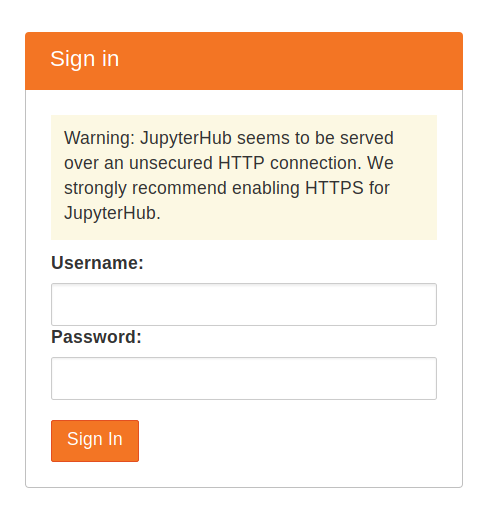 This admin user can log in after the JupyterHub is set up, and can configure it to their needs. Remember to add your username! Under the Finalize and create section, enter a hostname that descriptively identifies this server for you. Click the Create button! You will be taken to a different screen, where you can see progress of your server being created. In a few seconds your server will be created, and you can see the public IP used to access it. The Littlest JupyterHub is now installing in the background on your new server. It takes around 5-10 minutes for this installation to complete. Check if the installation is complete by copying the public ip of your server, and trying to access it with a browser. This will fail until the installation is complete, so be patient. Login using the admin user name you used in step 6, and a password. Use a strong password & note it down somewhere, since this will be the password for the admin user account from now on. As you use your JupyterHub, you may find that you need more memory, disk space, or CPUs. 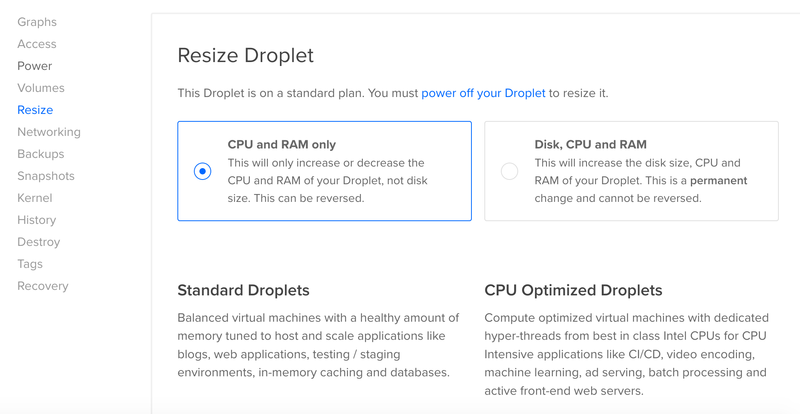 Digital Ocean servers can be resized in the “Resize Droplet” panel. These instructions take you through the process. First, click on the name of your newly-created Droplet to enter its configuration page. Next, turn off your Droplet. 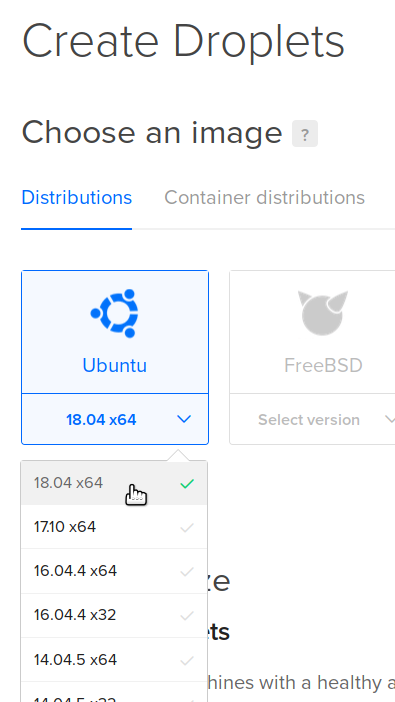 This allows DigitalOcean to make modifications to your VM. This will shut down your JupyterHub (temporarily). Once your Droplet has been turned off, click “Resize”, which will take you to a menu with options to resize your VM. Decide what kinds of resources you’d like to resize, then click on a new VM type in the list below. Finally, click “Resize”. This may take a few moments! Once your Droplet is resized, turn your Droplet back on. This makes your JupyterHub available to the world once again. This will take a few moments to complete. Now that you’ve resized your Droplet, you may want to change the resources available to your users. Further information on making more resources available to users and verifying resource availability can be found in Resize the resources available to your JupyterHub.